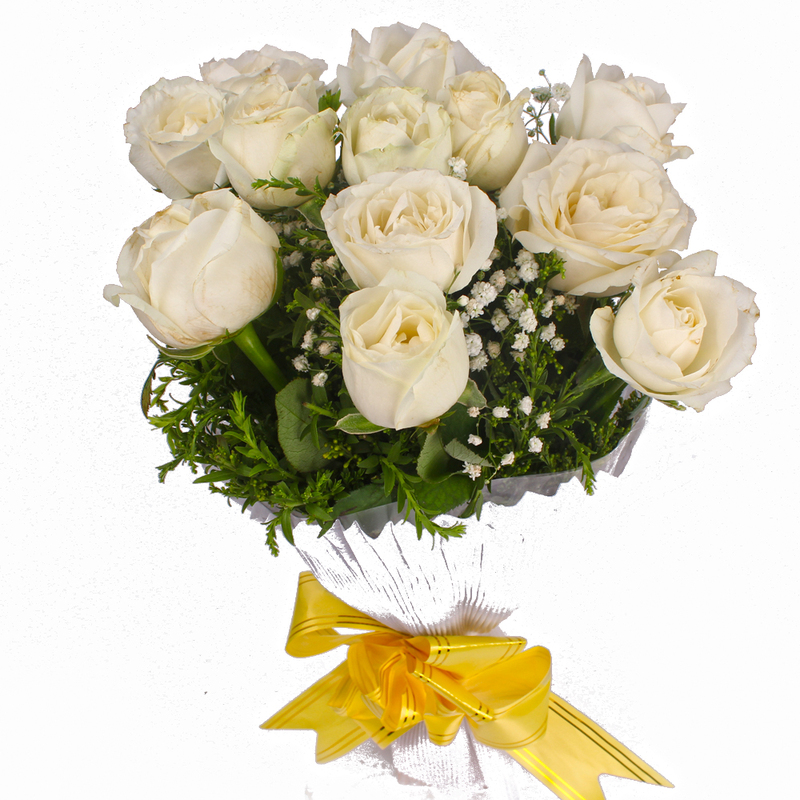 Product Consist :12 White Roses with green fillers in Tissue paper Wrapping with Ribbon Bow on it. 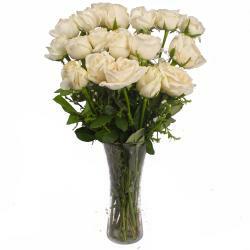 White Roses is a very beautiful flower which covey innocence, modesty and purity. 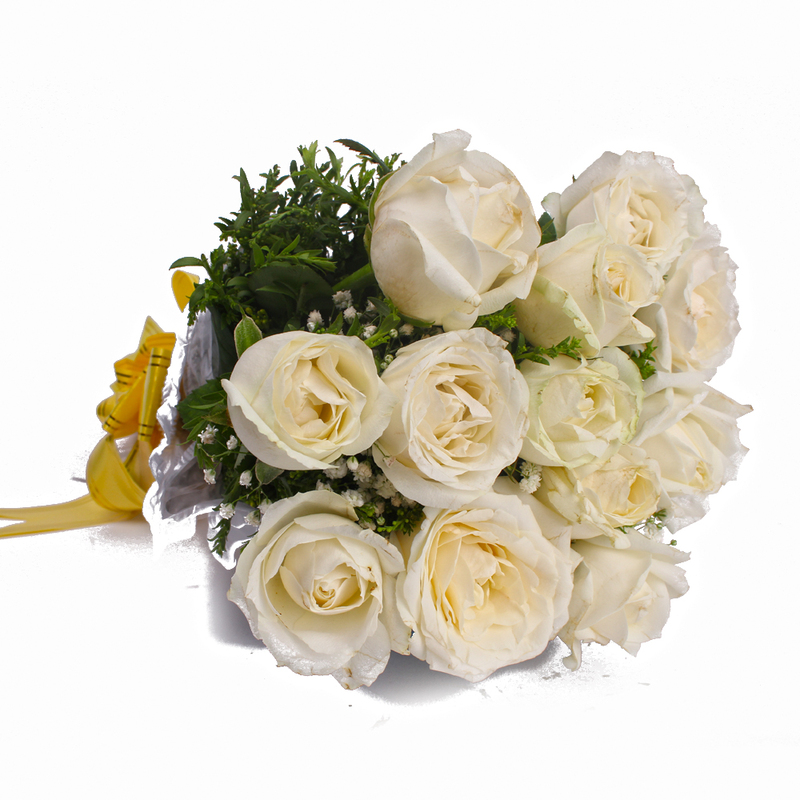 We bring to you a bunch of Dozen White Roses in a Bouquet for any gifting purpose. Your special someone will be more than happy to receive such a beautiful gift from your side. 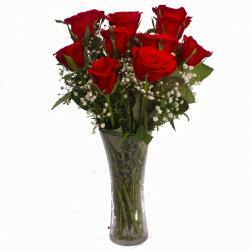 Delight your dear one on special occasion like Condolence, Sympathy, Anniversary, Wedding, Bhaidooj, Mothers Day and many more. 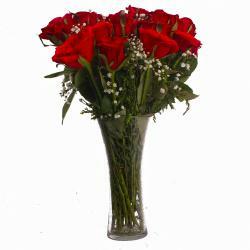 Send this flower bouquet arranged through Giftacrossindia. 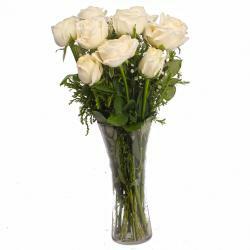 Product contains: Dozen White Roses with green fillers in Tissue paper Wrapping with Ribbon Bow on it.